Just a second-long gap between looking at the cell phone and back to the road can sometimes mean difference between life and death. To avoid any distractions, Sygic GPS Navigation has the Head-up display (HUD) feature that will project important navigational information straight onto your car's windshield, so you will never have to take your eyes off the road. When driving with Sygic GPS Navigation, even a long-distance drive can be made much safer. This innovative navigation feature will project specially optimized interface that will reflect clearly on the car´s windshield. This way you can project navigation information from Sygic GPS Navigation without any additional expensive device. Tapping the HUD button enables a simplified and high-contrast navigation display. Simply place your smartphone on the car´s dashboard, right under the windshield. 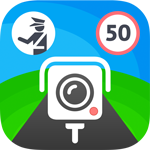 You will get directions, distance of next turn, current speed, speed limits and even speed camera warnings. If you don´t have enough contrast, simply increase brightness on your smartphone and Sygic Head-up display can be used even on a cloudy day. 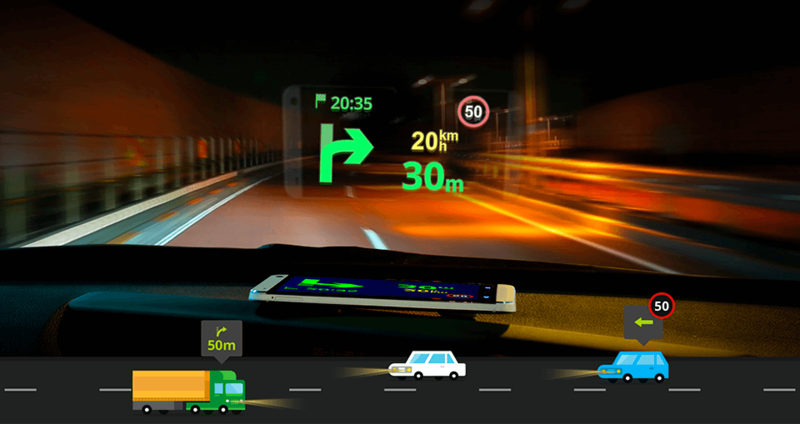 Head-up Display is one of the Add-on features. Get the Sygic GPS Navigation app with Head-up Display on Google Play or App Store.